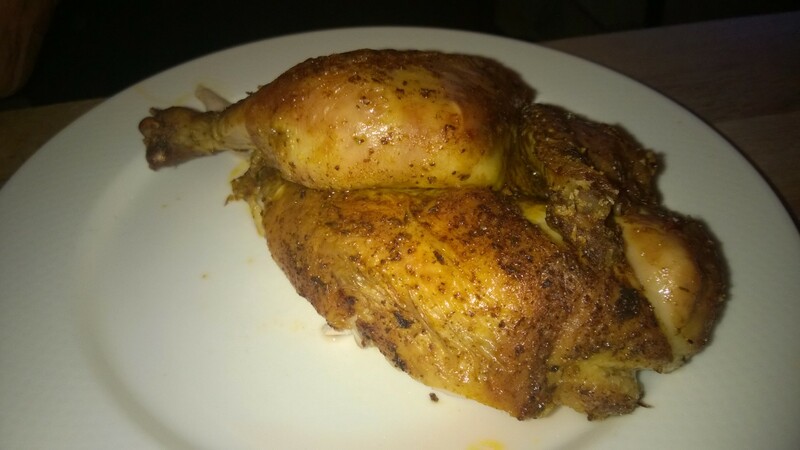 Many people choose chicken not because they prefer it due to the taste but because it is lighter and presumably healthier. If we are honest, most of the time white chicken breast meat is boring. Of course I would have to tell a very different story if I would write about chicken in Vietnam, China or many other Asian countries, but this review relates to Germany. 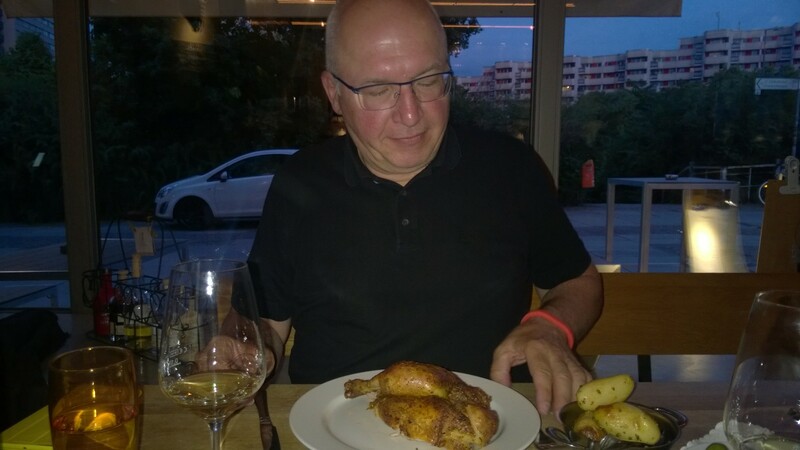 In Germany it becomes very seldom that you can get just a whole or half chicken. Sometimes at home we put a whole one in the oven which is mostly a wonderful dish. Not so in Restaurants as of course one chicken is too much for just a single person and in too many cases a couple or smaller group wouldn’t order the same dish for everyone. It is astonishing. Grilled Half Chicken (Broiler) – or how it is called in Munich – Halbs Hendl – is by far the most popular dish at the Oktoberfest. More than 500.000 grilled half chickens are sold during these days. You would believe Berlin hasn’t any grilled chicken tradition. It is an oddity that rather in eastern Berlin grilled chicken has been more popular than in the west. And! It was named “Broiler”! If you can read German, please read the article at wikipedia (https://de.wikipedia.org/wiki/Broiler) which is really interesting as it tells you the story how an original French word “bruiller” became an Anglo-American “broiler” which via abstruse ways through socialistic phrases (Soviet-Union, Bulgaria etc) ended as an East German word. I am sure that many even good English-speaking Germans – if they would be interviewed at street – would assume that “broiler” is an East German word but not English. 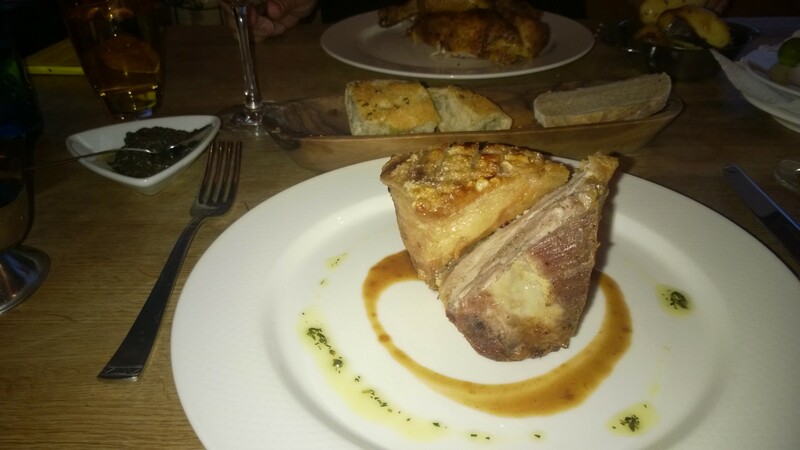 Not to make this story too long, if you are in the mood of having a delicious, classic and grounded broiler in Berlin I can recommend you to make a reservation at Restaurant Rotisserie Weingrün. It is a friendly, uncomplicated and nice place. The location is rather confuse and hidden: the vicinity isn’t too attractive because of the huge mainline Leipziger Strasse but somehow interesting due to the historical ground – even if you cannot see it anymore it is the eldest part of Berlin. Since there aren’t too many other places very close it but some touristic hotels you shouldn’t surprised to be surrounded rather by tourist than inhabitants. The restaurant offers rather long tables and it is common that you are placed with some other people you don’t know. The offer is straightforward, not too many dishes and most of it donated to an inn-house flaming wall grill (in French Rotisserie). The name of the restaurant easily is the concept as simply as delicious it is. Aside of a real broiler you can also get pork, lamb and beef dishes. 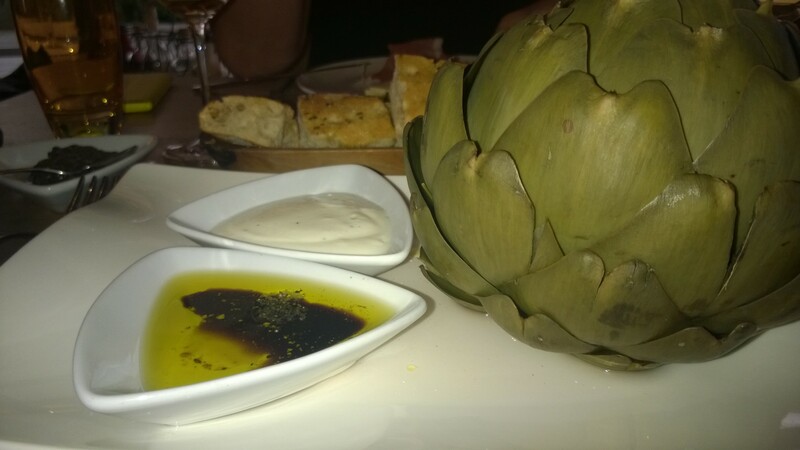 one of six starters: artichoke with two dips – easy and simply good! crispy flaming wall grilled pork belly! The promotion – webpage (http://www.rotisserie-weingruen.de/) etc. – is pretty professional. First time I was there I thought the place belongs to a winemaker. It is exactly the other way around: the owner of this restaurant (who runs also two other successful places) once a while ago invested in his own winery. They call it Horcher which is a tribute to one of the most successful gastronome of Berlin in the 20 and 30ies.